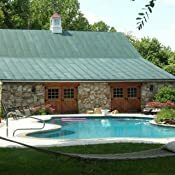 Sold by LBL Enterprises and Fulfilled by Amazon. Gift-wrap available. 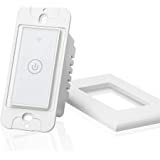 Requires iPhone 4S or later running iOS 8+ or Android phone with Bluetooth 4.0 and running 4.3+, In-home WiFi, U.S. residence address and ten digit phone number and free Leeo iOS or Android app. No international support. 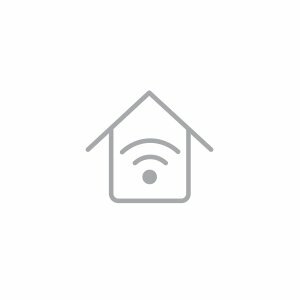 Easy setup - just plug it in, download the free iOS or Android app and connect to your home's Wi-Fi! 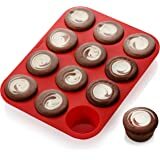 Sold by LBL Enterprises and ships from Amazon Fulfillment. In a fire or CO leak, acting fast can make all the difference. Leeo listens for alarms and notifies you the moment it hears one, so you can take action from wherever you are. You can listen to the alarm, dismiss the notification, or contact local 911 — all right from the app. No installation. No monthly fees. 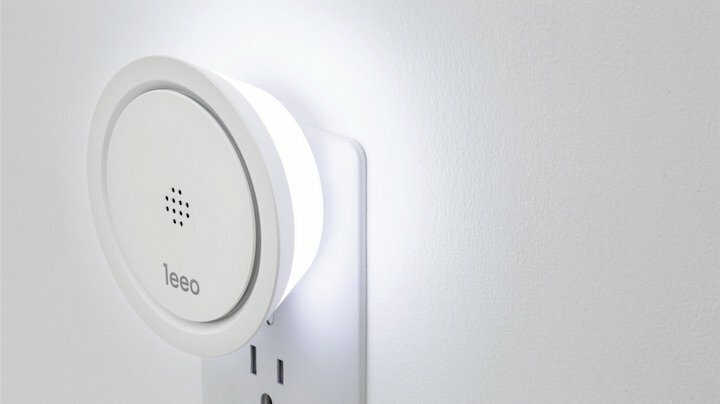 Because Leeo works with the alarms you already have, there’s no complicated setup. And with no monthly fees, Leeo makes peace of mind very affordable. 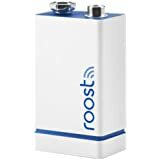 Just plug it in, connect to your home’s WiFi, and you’re good to go. 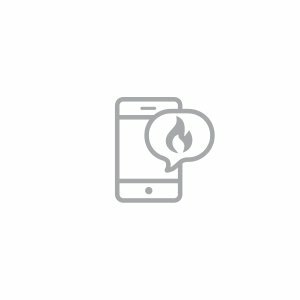 Leeo works with your existing, up-to-code smoke and CO alarms. 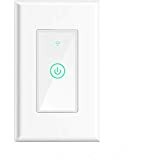 Just plug it in and connect to your home’s WiFi for the easiest installation ever. Because Leeo listens for the frequency of your existing smoke/CO alarms, you only need one — and not 7 or 8 — for a typical home. Leeo knows your home’s local emergency number and calls friends and family members you choose if you’re away from your phone. Leeo blends seamlessly into any home, while the ambient light setting turns on a soft light when it’s dark. Easily change the color right in the app for soothing or dramatic lighting effects. Simply rotate the outer ring to change the brightness. In our previous company, RoboteX, we designed and manufactured first responder robots for hundreds of federal, state, and local government agencies across the world and saw how our robots quickly became an essential part of first responder strategy and tactics. Everything was becoming interconnected and intelligent. We kept thinking about ways we could translate this technology into the consumer space. That’s why, when Adam’s family friend’s house burned down and they lost everything they owned (including their cats), we were deeply affected. 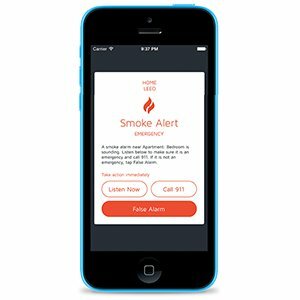 If a home had working smoke alarms and Wi-Fi, and its owner had a smartphone, why couldn’t they be alerted when something went wrong? Our friends eventually rebuilt their home. 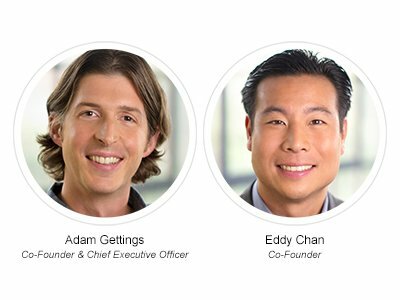 We put together an amazing team, including our chief designer Robert Brunner (former chief designer of Beats by Dre and head of design at Apple) and chief operating officer Charles Huang (founder of Guitar Hero), to build Leeo with the mission of providing beautiful products and services that provide peace of mind and make you say, “Wow." Leeo is extremely easy to use. Just plug it in and connect to your home’s WiFi. That’s it! 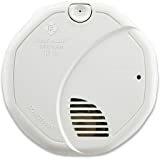 And because it listens for the frequency of your existing smoke/CO alarms, you only need 1 for a typical home – much cheaper than replacing all of your existing alarms. It has additional features like millions of hues and temperature/humidity monitoring, too. We knew we wanted the Leeo Smart Alert to be beautiful – something you'd be proud to display in your home. Even though sensors have become smaller over the years, it was a huge challenge to fit both the sensor technology and power supply into its current form factor. We went through dozens of iterations until we were happy with the size. One of the best parts was working with our chief designer Robert Brunner and chief product strategist Matt Rolandson. Their team brought so much energy and expertise in designing not just a beautiful product, but a striking and enlightening brand. And there’s more to come! I purchased this product over a year ago and, being happy with it, bought it for my parents also (less than a year ago in the latter case). 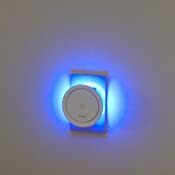 Initially it recognized the alarms we tested and successfully called us if an alarm went off. But mom's smoke alarm suspected she was burning her Thanksgiving meal yesterday and went off, and when the alarm went off the Leeo did nothing. She then mentioned to me that had happened a few times lately, but that in the past she just assumed she'd silenced the smoke alarm quickly enough. But this time it took her a while to reach it, and Leeo had still not responded. 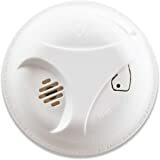 So she tested the alarm with the Leeo, having it listen for the smoke alarm as she set it off, and it failed to recognize any alarm. This are the same alarms that it had tested with in the past perfectly well. So I tested mine. Same thing. Both of our Leeos still inform us of the temperature and humidity on the app if we look, but they no longer respond to smoke alarms, and there was no warning that it had simply stopped performing their most important jobs. If we just went by checking the app and seeing it connected and could check the temperature, we would have assumed things were fine. But we got these for peace of mind after a friend's home burned down with her pets inside while she was running errands, killing all of them. And if the same thing happened at our homes, despite the smoke alarms blaring, we would have had no warning from the Leeo if we were out so that we could call 911. Update: My mom tested all 6 alarms in her home, every single one of which had been previously recognized and confirmed by the Leeo. It now only recognizes one. I'm very unhappy with this product and the company that put people in danger by shipping an alert that gives people a false sense of security. 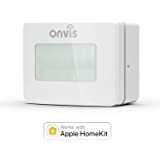 Update: After owning this product for a long time, but purchasing Nest alarms since I no longer trusted it due to the above, I see they now offer an option to be alerted if there is a loud noise in your home. 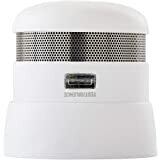 This could cause the device to be useful again, since it would simply be responding to the loud noise of the alarm rather than having to "recognize" it as an alarm, but unfortunately their fix that might make their device actually useful again costs extra -- $5/month. What a ripoff. 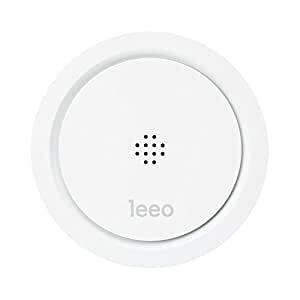 The Leeo provides a much lower cost alternative to the Nest Protect and other options for getting alerts on your phone for smoke and CO alarms. It simply listens for your existing alarms to go off. That also means it's super easy to plug in and set up. 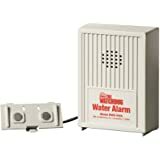 If you already a large number of alarms installed in your house, you only need one or maybe two of these. It also make a very nice RGB light, much brighter that most nightlights, and it's all easily controlled from your phone app. You can also set up temperature and humidity alerts. 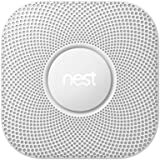 One thing to note is that the Leeo only picks up modern smoke alarms with 2 or 3 beeps. My alarms were from the 80s and had a continuous beep. They were long overdue for replacement (alarms are less effective after 10 years) and once I did, the Leeo worked perfectly. Yesterday a REAL alarm went off (burned food) and it didn't notify me. 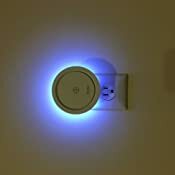 Now I have little faith it would work during a real emergency rendering it a 50 dollar nightlight. The frustrating thing is it notified me previously when it heard an alarm on TV, but not when a real alarm went off. 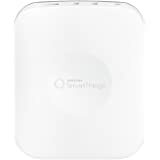 5.0 out of 5 starsGreat for smart home integration! My primary goal was to be notified of a smoke alarm while I am away from the home. As a family, our biggest fear is to get a call that our house is on fire with the dogs inside. It makes me sick just thinking about it. So I wanted a way to be able to notify the fire department or neighbor to let the dogs out. I had two options: replace all of my alarms with smart detectors or buy this little guy. 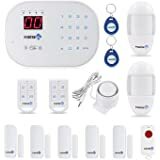 Considering the cheapest z-wave alarm was about the price of this one, it was a no-brainer for my setup. The key here is that all of our alarms are interconnected. If one goes off, they all do. So I place this sensor under one of the detectors. A "burning" question I had was whether all of the alarms going off at the same time would confuse the sensor. It does not! The sensor notified me on two separate occasions. What I didn't realize was how feature-rich the product is. Listed below! *Build quality is excellent. Made of a matte plastic and heavy which makes it feel like a premium product. *It works! Hasn't failed me yet. *Beautiful phone app. Very pleasing to the eye. Feels like it had some iOS inspiration. 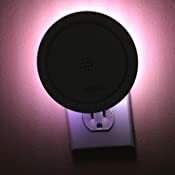 *Great night light. It can be any color you wish. It can also be as dim or bright as you like. You can also tell it to turn on only in the dark. *Senses temperature and humidity! Added bonus. It also keeps a running tally of temp/humidity over the course of the last 24 hours up to 7 days. I have not determined accuracy. *Works with IFTTT app. This opens it up for all kinds of amazing things. For instance, I have it set to turn blue if rain is in the forecast for tomorrow. 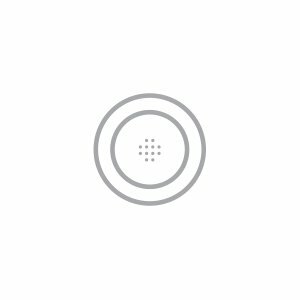 I haven't even scratched the surface of the other things IFTTT allows it to do. *The design of the device. 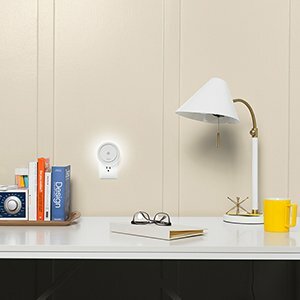 While it looks great, it flares out from the wall, which prevents the use of larger plugs in the other socket. It will work for standard plugs but it is tight. For instance, it wouldn't work on the same box as my wireless range extender, but would for my vacuum cord. Fortunately, this thing is usually placed in hallways so it isn't a common place for other gadgets. *No SmartThings integration yet. Not a deal breaker for me, since I can still connect it through IFTTT. As it is right now, I only need it to notify me when there is an alarm. This would only be a problem if I wanted to use this for an action based off of the light/temp/humidity function. Overall, this is just a fantastic product. I can't get over how robust it is. Kudos to the developers for the vision to create such a brilliant device.